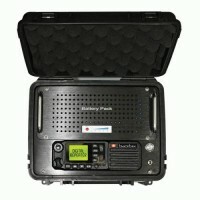 A radio repeater is a specialized two-way radio designed to increase the communication range of a radio system. It receives signals on one frequency and transmits them on another frequency simultaneously, acting as a "relay station" boosting the power of the signal when it re-transmits. 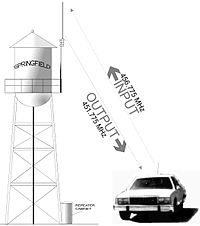 Repeaters are usually placed in high locations such as mountain tops, the tops of buildings, or installed on towers. 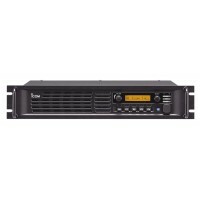 Repeaters can greatly increase the range of your radio system. However, depending on how much range you need, a repeater may or may not be necessary. Most smaller businesses and municipal operations can usually communicate fine without a repeater by using a base station radio with an output power of 25 to 50 watts to provide greater range. Large universities, hospitals, municipalities, construction sites, and businesses will sometimes require a repeater for greater range or to overcome barriers such as mountains or dense structures. • Same Band Repeaters Operate on the same frequency band (i.e.VHF or UHF). Input and output frequencies may be different but they are on the same band. • Cross Band Repeaters Also called X-Band Repeaters. Used to connect two radio systems that each use different bands (ex. UHF & VHF). • Vehicular Repeaters Are mobile repeaters used in vehicles. 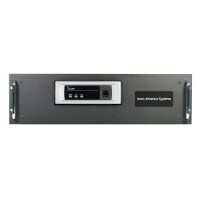 • Combination Repeaters All-in-one units that act as both a base station radio and repeater.